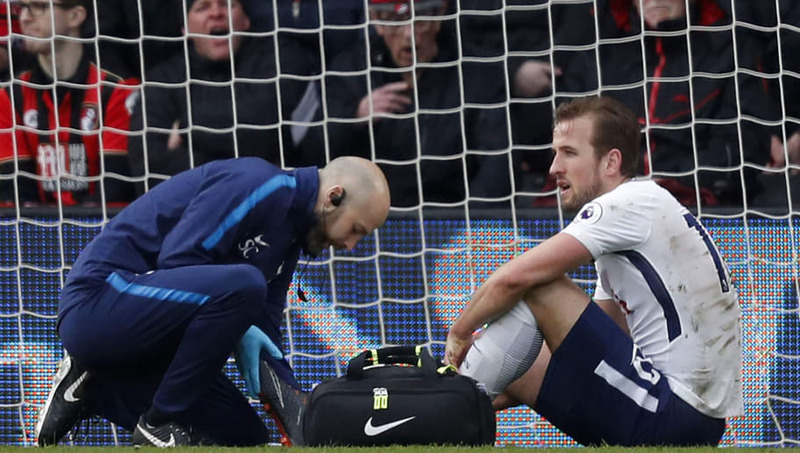 Tottenham's 4-1 victory over Bournemouth leapfrogged them over Liverpool and into third in the Premier League, though star man Harry Kane was forced off with an ankle injury early in the match. Erik Lamela entered the match as his replacement, sliding to the left side while Son Heung-min moved forward, notching a brace on the day. Tottenham brought in Fernando Llorente over the summer as a back-up to Harry Kane, hoping he could perform when the Englishman needed a rest or could provide added energy off the bench. Instead they paid nearly £15m for one Premier League goal - a header against his former club Swansea. 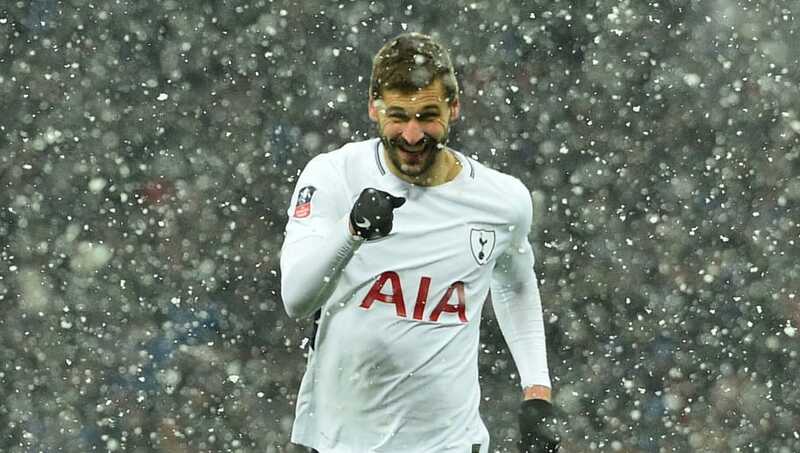 Llorente did net a hat-trick in the FA Cup tie against League One side Rochdale, although his dominance over a low-tier club probably didn't give Spurs supporters much confidence. Pochettino may look to keep their formation in tact and simply slot the Spaniard up top, as he was his final substitute when chasing a goal against Juventus. Although he is their second choice for a traditional striker, the path to replacing Kane's goals doesn't look to involve Llorente in the first XI, due to his overall lack of proven ability to score against top flight teams this season. Tottenham's 21-year-old attacker has been shrouded in controversy this year, dipping in form and having diving "accusations" tossed around seemingly over other match. With all this aside, Alli has proven himself to still be a capable attacker, scoring six goals and assisting nine more on the year. The youngster poked in an inch-perfect ball from Serge Aurier against Bournemouth to pull level after Kane was taken off, and assisted one of Son's two goals as well. Alli did limp off the pitch with a few minutes remaining, although Pochettino didn't seem too concerned with the issue, referring to it as a "slight knock". Sliding Dele Alli forward into a more advanced role could serve Spurs well, as Eriksen could move behind him in his usual CAM role and Erik Lamela or Lucas Moura could enter on the right side of the attack, with the electrifying Son staying wide on the left. Poch could keep his main formation in tact, and the move could see more minutes for the two wingers in their traditional role, giving them more opportunity to play their natural attacking football. The false 9 is admittedly a surprising idea, especially after Eden Hazard and Antonio Conte clashed heads over the Belgian being played out of position against Manchester City. Despite Hazard's frustration and unsuccessful false 9 experience, Spurs may be able to find success with the formation. While Alli won't be able to play the false 9 at the same level as Lionel Messi during his tenure perfecting the position, his incisive through balls and creation of chances can't be ignored. Placing Alli at the false 9 as a creator with Son and Lamela/Lucas out wide will allow Spurs to utilise their wide attackers' pace and strengths, along with Alli's ability to create play from the midfield. The midfield trio of Eriksen, Dembele, and Dier/Wanyama could remain in tact as well, helping the back line in defense and supplying balls forward as usual. While the false 9 remains the toughest role in football to play, Alli has potential to perhaps fill the spot, and the radical change to Tottenham's tactics could pay off. One thing can't be ignored: Son Heung-min is on fire. The South Korean attacker has scored seven goals in his last four matches across all competitions, and has 12 goals in the Premier League this year. Son was the answer to Kane's injury against Bournemouth, as Pochettino left Llorente on the bench in favor of pushing Son forward to lead the line. Poch was rewarded, as Son netted a brace to help secure a comfortable victory for Tottenham in the end. Son also has experience up front on the international level, having played up top for South Korea in the past, and will likely be their featured striker in the World Cup this summer. Son seems to be the most logical to choice to fill in for Kane, as he clearly has earned his manager's trust up front. With Son playing in Kane's usual role, it's likely that Erik Lamela comes on out wide left as his replacement, in the same manner as the in-game change that worked against Bournemouth.